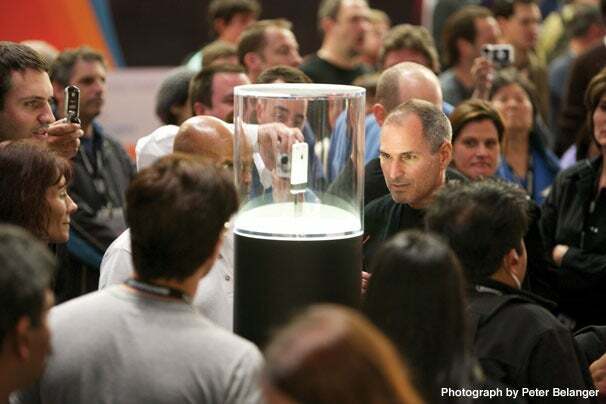 Ten years ago today, Steve Jobs introduced the world to the iPhone. As Jobs predicted the iPhone changed the world. Before the iPhone, only the technologically adept were interested in carrying around a pocket computer. Now, most American adults (64% and growing) have a broadband internet enabled multi-touch computer on their person at all times. The ways this is altering our culture, politics and the economy is just starting to be realized. I blogged shortly after the announcement that “the best feature of Apple’s forthcoming iPhone is the multi-touch display.” In a matter a year or two, all personal computing devices adopted the slab-of-glass multi-touch display. The touch paradigm made computing accessible to the masses. The touch interface made it accessible, but the real power comes from everyone having a truly personal and powerful internet connected computer. The iPhone led the way and we are never going back.